Here is the view of the River Weaver from the new bridge on the Waterlode extension. 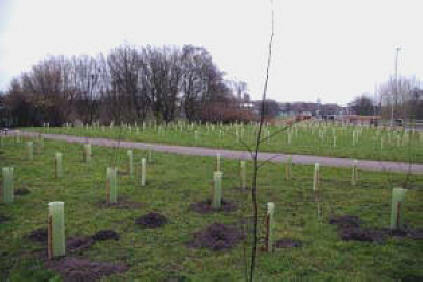 The area to the left of the picture is the site for Nantwich Rotary Club's centenary copse (pictured below in February 2006). I WAS pleased to learn that the area behind Nantwich Swimming Baths was not to be the site for the planting of 100 trees to mark the 100th anniversary of Nantwich Rotary Club as I had thought might be the case. The trees were actually planted in a wide area on the other side of the river. Which left the behind-the-baths area free as one possible site for a new all-in-one Tourist Information Centre (TIC) which was outlined in my Letter from Nantwich of July 2005. I am also assured that the proposed move by the current TIC to a one-stop "shop" at Nantwich Civic Hall - to join other Crewe and Nantwich Borough Council offices - does not mean the end of the all-in-one TIC project. I still favour the Mill Island site for the new TIC - and a Battle of Nantwich museum for the baths site - but there is room for all opinions in deciding the future of Nantwich. new home at the Civic Hall for the present TIC - doesn't put off visitors seeking information and / or accommodation - or locals wanting to book tickets for local stage productions. No, I haven't changed my mind about the wisdom of a new TIC, but I suppose that as Nantwich expands we will have to get away from the idea that everything must be so much to hand that it must not be more than a couple of yards from Nantwich Square. 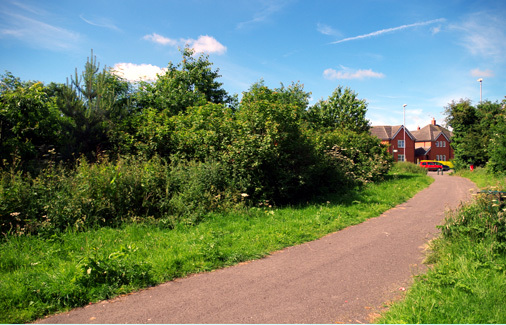 I AM told that there are plans afoot to extend the improvements to the riverside footpath from the railway bridge to Nantwich Lake in Shrewbridge Road. Currently you would need stout walking shoes to tackle it. Like the new TIC, the footpath is part of a grand scheme to improve the riverside. (See Update No 2 - a new letter - about this walk). mill was standing, the millrace was the route taken by the River Weaver under the mill to provide motive power for the various items of machinery. This was a man-made section of river. 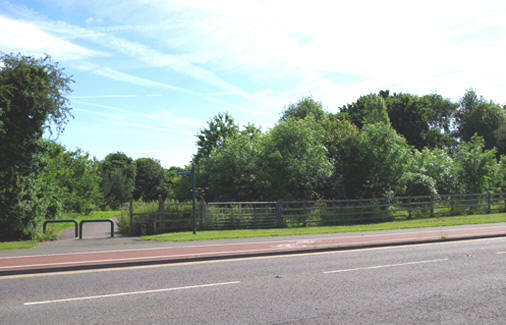 The original route of the river, which is still here, was round the side of the mill, which resulted in the formation of Mill Island. (The Mill race can be seen here). Now there is an idea of using the cascading water to drive a turbine to provide electricity in the area. Occasional events such as the Battle of Nantwich or Nantwich Food Fair could be provided with electricity from such a turbine. Yes, a generator could be provided with the same result, but this new idea would save having to use petrol (or whatever) to run the generator. Mother Nature would be the source of power. All far fetched? Let's wait and see. Such ideas have a habit of becoming reality. (See this page for update). Footnote: The tourist centre, which would also have accommodated an extension of Nantwich Museum, didn't materialise.